Now 112 Ontario municipalities have either passed a resolution demanding change to the wind power contracting process, or have endorsed a resolution to that effect, and it’s all because of “six years of energy assault,” says the Mayor of Enniskillen Township. That’s not all, says Marriott: the other right taken away is affordable electricity. He also points to the difference between how rural and urban residents are treated. Marriott concludes by saying the electricity policy has made electricity bills three times higher than they were eight years ago. The government “has ignored our pleas to stop subsidizing wind turbines by billions of dollars”. Wait now!!!! Ole Katty Wynnd has come to the rescue!!! Must be getting close to xmas!!!! 8% WOW!!!! I’m stunned at her generosity. … that’s more than enough to help those in need… boost businesses… increase investment in ontario and create massive job opportunities for all Ontarions!!!! Thanks Katty we’re all so very sorry for being so negative the last few years…. Well now that the hydro problem is all fixed what’s next there Katty Wynnd ???? Rural Ontarians pay extra charges for the rural transmission lines over which expensive electricity from rural wind and solar factories is distributed to urban Ontarians and foreign customers. Those wind and solar factories are located only in those lucky rural areas where those transmission lines have adequate capacity. We have taken enough BS from this government. Rural residents pay more for hydro because the liberal government takes 60 cents from every dollar hydro one collects… hydro one is left with 40 cents to maintain our system…. 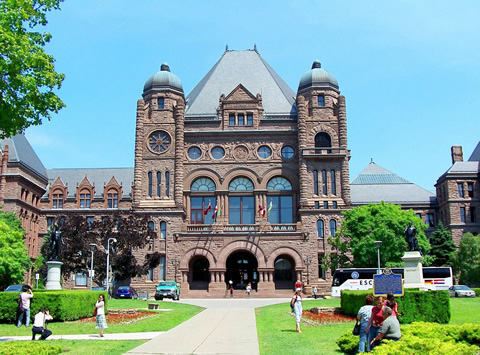 this 60 / 40 split was made public at a hydro one meeting chaired by Fiona Crean I attended…. @ notinduttondunwich. Don’t you know? The power from the wind turbines is transported from Chatham Kent to the IESO office in Toronto. There they take a sample from the electricity and test is for voltage, amperage, kW, frequency, sinus wave, cos phi and so on. They filter out the noise from the wind turbines. As a final test they taste the stuff. If the taste is within specified specs they sent it out. The juice that goes to Dutton has traveled a long way trough mostly old and unreliable wires and equipment. All the maintenance through highly overpaid workers with a way to generous pension ( also paid by us ) makes it very expensive to transport. I hope this explains why you have to pay more for your electricity in rural Ontario. By the way, do you know that hydro is water? And that the nickname for Hydro One is Hydro None? This is not because there is no water in Hydro One, but because of the many outages. Until the IWTs are removed, rural people living in close proximity to IWTs should receive FREE hydro (rather than selling it at a loss or giving it to the U.S.). It’s the least Wynne could do to show her gratitude for sacrificing their health, and property value! Many rural people are now having to install and use hydro for AC because they can no longer sleep with the windows open due to the incessant noise! Perhaps FREE HYDRO would make their now unsellable homes more attractive to a potential buyer or make it financially possible to find alternative housing when the wind blows! “Rural Ontarions should receive free hydro for sacrificing their health” AT THE LEAST is right. I do not place a dollar value on the health and well being of an induvidual, or a human life for that matter. How about a good old fashioned eye for an eye..
Councilors in DD have passed just such a resolution at last weeks council meeting….. demanding hyrdo reimburse all residents that are forced to live under IWT’S…. all voted in favour of this resolution except councillor Mckillop…. Mckillop voted against the resolution stating it was unfair to put DDs expenses on the residents of Ontario!!! !